Several years ago, we decided to try an experiment, a "scenario book" for the Great War at Sea series. I think we launched Great White Fleet after our first d20-system role-playing module, Last Days of Constantinople, but I'm not really sure. They did come about at roughly the same time, and Great White Fleet was intended to be the physical twin of the d20 books, 8.5x11 inches, saddle-stitched (stapled binding) and 48 pages. The book was intended to help sell Great War at Sea: 1898, The Spanish-American War, which had sales lagging somewhat behind the other games in the series. The others � four came out before 1898 � had done phenomenally well, but 1898 was only an average seller. There were reasons for that slow start; not least of them the ridiculous notion that the game should have hard-mounted game boards instead of paper maps. The game would eventually sell out, and we'll issue a new game on the same topic someday. Great White Fleet, the first edition, was pretty much just a scenario book. Along with 20 scenarios it also had a set of advanced tactical rules for battles of the pre-dreadnought age, by Karl Laskas. Even padding it out with a fairly rudimentary map of Mindanao in the centerfold and four pages of hit records, it still came out a couple of pages short. Unable to face designing more scenarios, I wrote a background piece about Japanese prizes from the Russo-Japanese War to flesh it out to its full 48 pages. That, combined with the burgeoning sales of our d20 books, turned out to be a turning point in our product lines. Ryan Dancey, then vice president at Wizards of the Coast and the moving force behind the whole d20 open license, had been a playtester on one of our role-playing games and his charming wife had been a stunning booth babe for us at GenCon 2001. He has a very different view of the game industry than anyone here, so I try to pay attention even though I usually can�t understand him. Anyway, he wrote an unsolicited analysis of Great White Fleet as a product which he sent to me not long after its release. 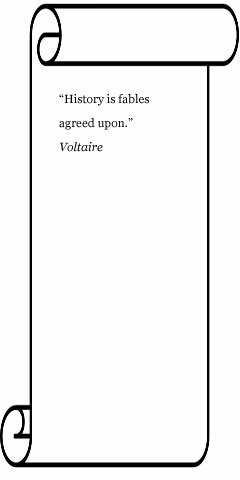 The background piece at the end, he said, was the best part of the book and he wished there had been more articles like it included. Most role-playing books, he noted in his best Danceyspeak, "are actually consumed as literature." Ryan is smart and successful, so I did take him seriously though most of our book efforts went toward d20 products during those years. 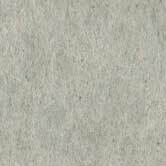 But the vision became much clearer when re-cast by Lys Fulda, then our marketing guru and as always twice as smart and four times as practical. "I need," she said, "a product the customer can take into the bathtub with him." Now that, I could understand. Our book lines have aimed for that mark since, to give both useful game information and interesting reading. And so it is with the new edition of Great White Fleet. The book went out of print a couple of years ago, but customers have asked for it ever since. And it did sell very well, outstripping sales of the boxed games it was meant to promote. So when Lys asked why we hadn't brought it back into print (which is Lysspeak for, "Bring it back into print right now!") I decided it needed a closer look. After all, it shouldn�t be too hard to re-work it, and re-use most if not all of the material from the old edition. Nothing is ever that simple. Around the same time, a fan made a suggestion that stuck in my mind; unfortunately, I don't recall who it was but it was a very good idea. The original Great White Fleet, the book, had almost nothing within it connected to the actual Great White Fleet, the fleet. The book really needed scenarios for the actual Great White Fleet. And then I watched "South Park." These days I don�t seem to do much other than run the company and work on its products, but I have a friend who writes scripts for "South Park" on occasion. So I have an excuse to check in and see what's on this sophomoric cartoon. The one that caught my attention featured a show-within-a-show, a dramatic device inspired no doubt by Hamlet, titled, "Russell Crowe: Fightin' Around the World." In it, the actor sails from country to country in his faithful tugboat, Tugger, and beats the crap out of assorted people he meets: Chinese, Indians, New Yorkers, doctors and cancer patients. Inspired by Russell Crowe and Tugger, I threw out my plans to simply re-work the old book and its old scenarios. 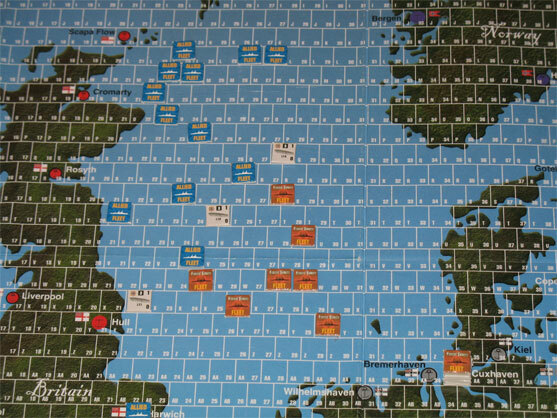 As re-issued, the major part of the book is a set of three dozen scenarios in which the Great White Fleet of 16 battleships and 7 destroyers sails around the world from Great War at Sea map to Great War at Sea map (though not always the same 16 battleships; two substitutions took place on the West Coast). And then they beat up the locals. On the map from Sea of Troubles, they fight the British and the Germans. On the map from Plan Gold, it's the British again and the Dutch. Cone of Fire has three maps and many more opponents: the Brazilians, Argentines, Chileans, British, French, Italians and Japanese. There's a break in the operational action after that, as the actual Great White Fleet made many port calls in places where we have no maps, like the west coast of the United States and Mexico, and Australia and New Zealand. But they did sail past the Philippines, avoiding as many port visits because of the fear of disease outbreaks (though racial attitudes no doubt played a part as well), so on the map from South China Sea the Great White Fleet squares off against the Japanese, the British and the Germans. Next it's on to the map from the now out-of-print Russo-Japanese War to fight the Japanese and the Russians. Of course, the actual fleet received a very warm welcome everywhere it went, but our path of mayhem and destruction follows it to the map from Mediterranean, where there's fighting with the Turks, Austrians, Italians, British, French, Russians and Greeks before sailing onto the Jutland map to tussle with the British, Germans, Russians and Swedes. All told it's an inspired tale of loopy insanity, and best of all, almost none of it's made up. Well, there was no bizarre U.S.-against-the-world War of 1908, so of course all of it's made up, just not by me. As I read secondary works on the Great White Fleet and dug into contemporary newspaper accounts, thanks to some of the wonderful databases available online, I was reminded of how 1908 unfolded during an age of foreboding and paranoia. Many felt a world-wide war coming on; some, like the Futurist movement of the period, embraced violent change as necessary to sweep away what they saw as an age of decadence and economic oppression. And so papers of the time are filled with paranoid fantasies regarding the Great White Fleet, either from Americans wondering who might attack it as it sailed into view, or others wondering what sinister purpose lay behind the voyage. 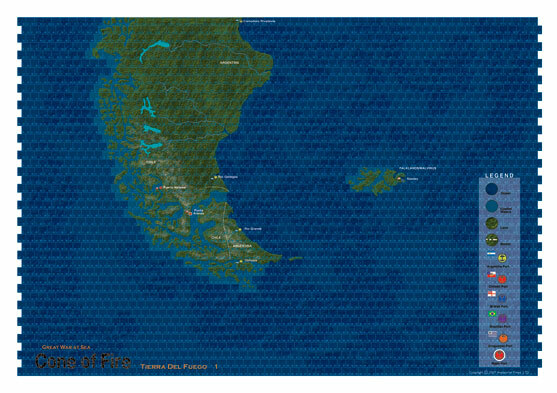 Writers from Berlin to Buenos Aires posited various scenarios, so I just adapted them to the game system. That makes Great White Fleet one of the more unusual book supplements we've published, but it was very satisfying to write as it hangs together very nicely as a narrative. Role-playing and collectible card games have done wonderful things by concentrating on a coherent story arc, and I�ve wanted to bring more of that philosophy over to the board game side of Avalanche Press for years. Games should tell a story � particularly if you're going to read them in the bathtub � and Great White Fleet is designed to tell a complete tale of naval combat, from Hampton Roads around the world and back again. Become part of the story! 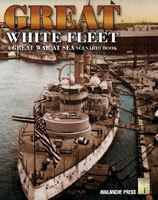 Order Great War at Sea: Great White Fleet as a digital download or in its printed edition.